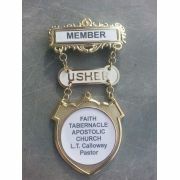 Custom/USHER Fancy Dogbone Badge is 4 inches long. 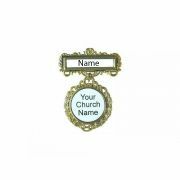 Please note that these badges are personal.. 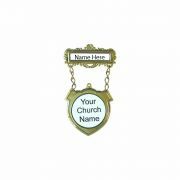 Custom Fancy Round Badge is 3 inches long. 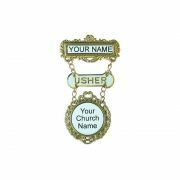 Perfect for identifying Deacons, Deaconesses, Ushers ..
Our lapel pins are perfectly priced to hand out d.. 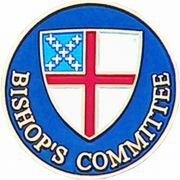 Stand in solidarity with the martyrs! 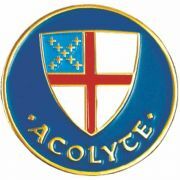 Proclaim your faith boldly with this 1" Christian "Nun" lapel ..
EPISCOPAL ACOLYTE PIN, GOLD PLATED WITH INLAID ENAMEL COLOR, 1" DIAMETER, POLY BAG PACKAGED. The Ep.. 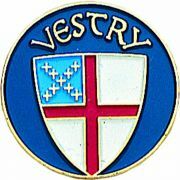 Custom Shield Badge is 3 inches long. 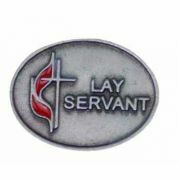 ..
1" UMC Lay Servant pewter finish with red enameling clutch back pin. Poly bag packaged.Product Size:.. 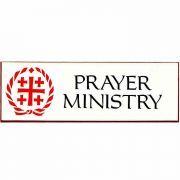 Prayer Ministry Badge, 3" wide. Easy to use, easy to read. 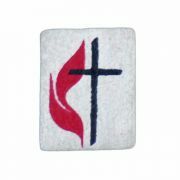 With bar pin in poly bag.Product Size: 3"..
Pewter Flame & Cross designed pin. 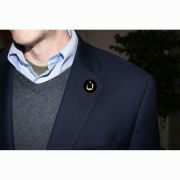 1/2" x 4/8" clutch back pin.Product Size: 3/8 x 1/2 x 1/16..
2" star Usher Badge in bright silver metal. 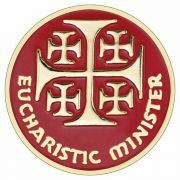 Will not tarnish. Poly-bagged. 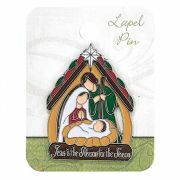 Pin backs..
Our rosary lapel pins are perfectly priced to ha..
Metal with Color Epoxy 1 1/2 inches Height, Backer Card..
Eucharistic Minister Lapel Pin, 1", hand enameled color, poly bag packaged. 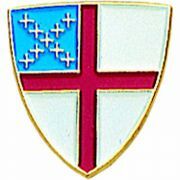 Also available in the s..
Episcopal Shield lapel pin/tie tac, gold plated with inlaid enamel colors, 3/4" overall size, poly b..